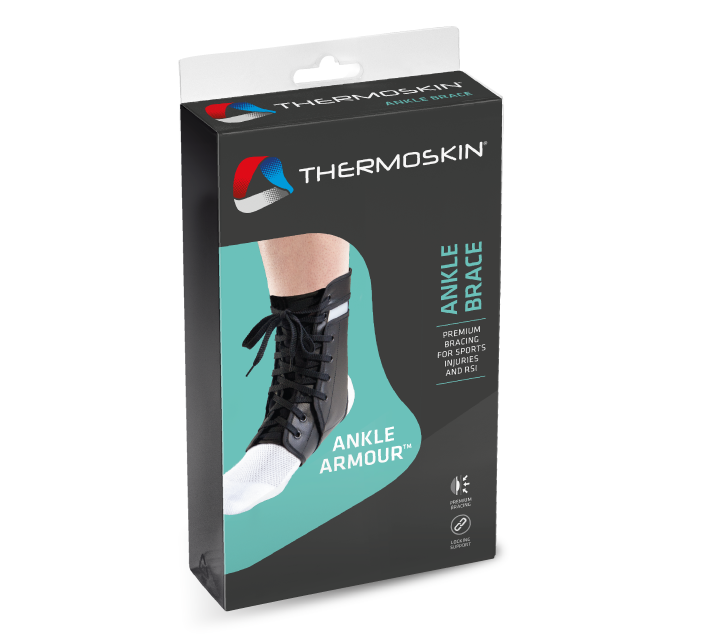 Ankle Armour® Brace – Thermoskin – Supports and braces for injury and pain management. Provides rigidity for medial and lateral support, whilst allowing room for movement of surrounding muscles and joints. 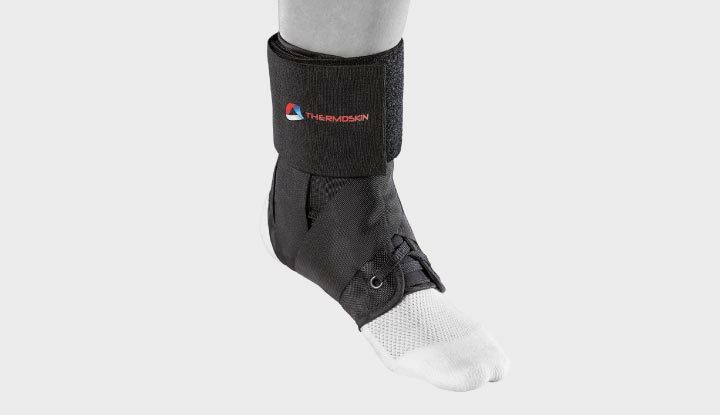 Restricts range of motion and provides superior protection for patients with a history of ankle injuries. 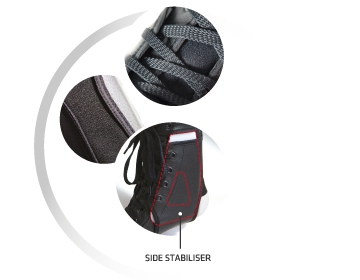 Full elastic back ensures complete unrestricted blood flow to the Achilles tendon. Premium side stabiliser provides superior protection. 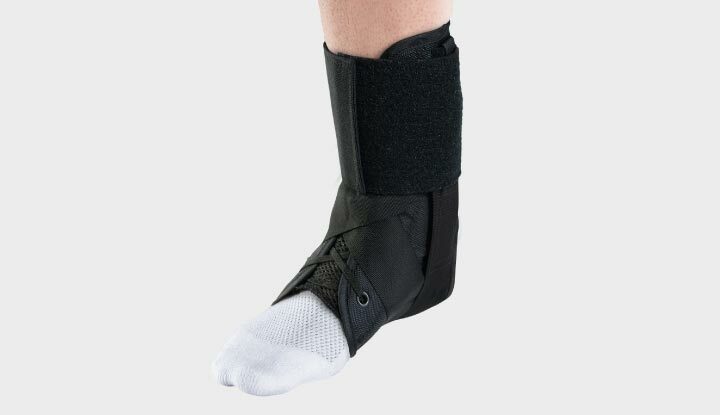 The Ankle Armour® brace has been designed to be worn over an athletic sock. Step 1 To install, insert the stabiliser between outer panel and the inner panel with the top of the stabiliser captured in the pocket at the top of the brace. Step 2 Begin by lacing the bottom two eyelets just comfortably tight. Step 3 Continue lacing up the brace being sure to lace through both panels and taking care not to skip any eyelets. Step 4 IMPORTANT Lace the middle eyelets which are spaced close together as tight as possible to create the most effective support. Step 5 Re-adjust as required. If pain persists, discontinue use and consult your medical professional. Ankle Armour® is registered under Australian Trade Mark Registration No.1588889 in class 10 Certificate of registration. 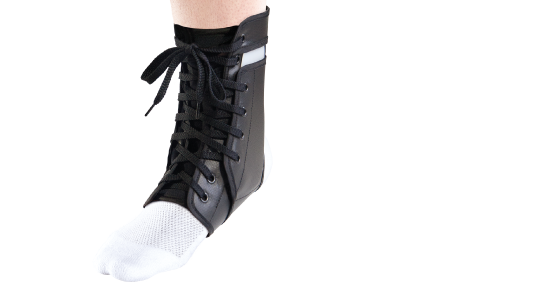 Designed to help reduce the severity and frequency of ankle injuries. Stabilising straps replicate a figure 8 athletic taping application positioning the ankle at 90 degrees, the most effective angle for treating acute injuries.